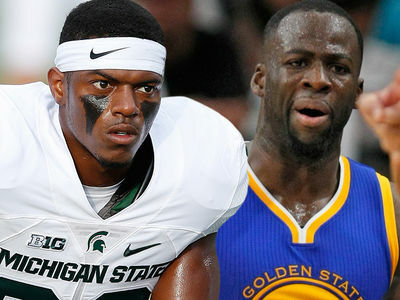 The man who claims he was punched in the face by Draymond Green last summer says he got violent threats after the incident and still wakes up crying ... and now he's suing the NBA star. The man behind the suit is ex-Michigan State football player Jermaine Edmondson -- who says Draymond's posse attacked him and his GF at an East Lansing bar on July 10, 2016. Edmonson says he confronted Green the next night -- and Draymond punched him in the face. A cop who witnessed the attack arrested the Warriors star for assault. But Edmondson says his life has been hell since the incident -- and things got so bad at MSU (where Draymond went to school) that he quit the team and left the university for a while. Edmondson says he's still haunted by the attacks -- and feels his name has been turned into a joke thanks to Green. "I think about what happened with Draymond every day. I still feel his hand on my jaw." Now, he and his GF have lawyered up with Lisa Bloom -- who's repped stars like Blac Chyna and Kathy Griffin -- and have sued Green for assault and battery. As for Green, he cut a sweet deal in the criminal case -- he agreed to stay out of trouble for a year and the charge was reduced from a misdemeanor to a civil infraction. The year ended on July 22 so he's basically in the clear with prosecutors. 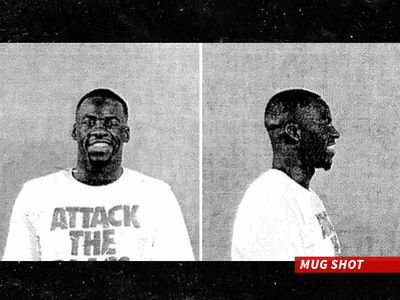 11:22 AM PT -- Draymond's camp issued a statement saying, "This lawsuit relates to an incident that occurred in East Lansing, Michigan over a year ago, for which Draymond paid a noise violation fine." "Draymond looks forward to defending himself and clearing up the misinformation put forth today."